The man responsible for the elegant design of the centre of the Città Bassa, the architect Marcello Piacentini, was born on this day in 1881 in Rome. 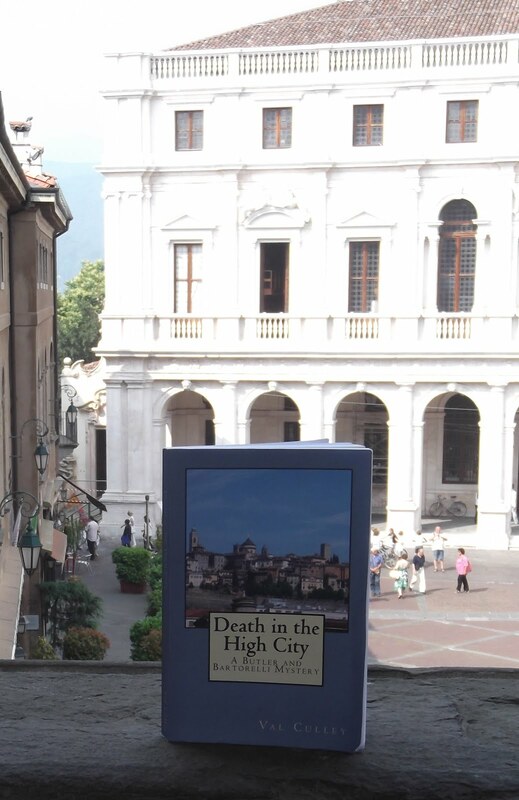 He was the son of architect Pio Piacentini and studied arts and engineering in Rome but, when he was just 26, he was commissioned with redesigning the centre of Bergamo’s lower town and his buildings remain notable landmarks today. He then went on to work throughout Italy and, in particular in Rome, developing a simplified neoclassicism which became the mainstay of Fascist architecture. He designed a new campus for the University of Rome, La Sapienza, and the road approaching St Peter’s in Rome, Via della Conciliazione. Piacentini went on to become an important colonial architect, particularly in Eastern Libya. One of his most impressive buildings in the Città Bassa is the Banca d’Italia in Viale Roma, which you pass on the right hand side as you go up to the Città Alta (upper town). 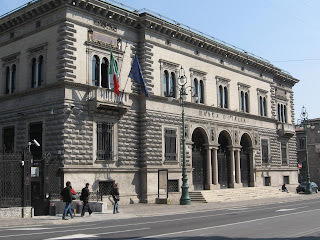 Built of brown stone, in keeping with the other public buildings erected at the beginning of the 20th century in the Città Bassa, the bank has a decorative façade. The building has since become a symbol of Bergamo’s strong commercial and banking tradition. Another example of Piacentini’s brilliant work in the lower town is the Torre dei Caduti in the centre of the Città Bassa. The early 20th century war memorial towers over Piazza Vittorio Veneto and Via Sentierone but was carefully positioned so that despite its 45 metres of height it does not spoil the skyline of the Città Alta. The Torre dei Caduti (tower of the fallen) was built to honour the citizens of Bergamo who were killed in the First World War and was officially inaugurated at a ceremony in 1924. After the fall of Fascism, Piacentini did not work as an architect for several years and he died in Rome in 1960.